The program of the symposium Heißbemessung – Structural Fire Engineering 2017 is available now. The first common session deals with interesting topics of different aspects of structural fire engineering. After that, you can choose between two sessions, dealing with the topics of experimental and numerical investigations (Session A) and the application of structural fire engineering methods (Session B). The last common session containing three presentations. In the following, there is time for a final discussion and exchange of experience. Wir haben die deadline für die Abgabe der Kurzfassungen bis zum 30.04.2017 verlängert. Bitte senden Sie Ihre Kurzfassung an k.bieneck@ibmb.tu-braunschweig.de. Wir hoffen, dass wir Ihnen auch in 2017 ein attraktives Programm bieten können und freuen uns auf Ihre Teilnahme. Anbei erhalten Sie die Ankündigung und den Call for Papers für das Symposium Heißbemessung – Structural Fire Engineering, das am 12. September 2017 unmittelbar vor den Braunschweiger Brandschutz-Tagen in Braunschweig stattfindet. Somit ist sichergestellt, dass Sie problemlos beide Veranstaltungen besuchen können. Wir würden uns freuen, wenn wir Sie bzw. Ihre Kollegen auf dem Symposium begrüßen könnten. Mehr Informationen erhalten Sie unter www.brandschutztage.info. We have extended the deadline for abstracts until 2017/04/03. Please send your abstract to k.bieneck@ibmb.tu-braunschweig.de. in 2014 the first workshop Structural Fire Engineering was successfully performed with over 120 participants. Also, the 2nd and 3rd workshops were successful events. Due to the enhanced demand the former workshop is carried out as a symposium in the 4th edition. The great interest shows us that the symposium will provide a forum for discussion in the field of structural fire engineering. We hope that we can offer an attractive program in 2017 and look forward to your participation. 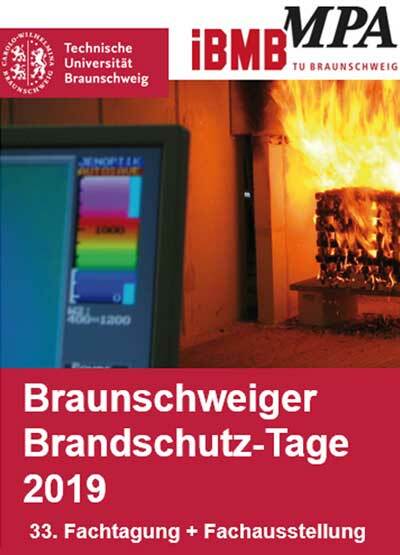 Please find enclosed the announcement and the call for papers for the symposium Structural Fire Engineering which will be held at 12 September 2017 in Braunschweig in addition to the Braunschweiger Brandschutz-Tage. Am 12. September 2017 in Braunschweig.